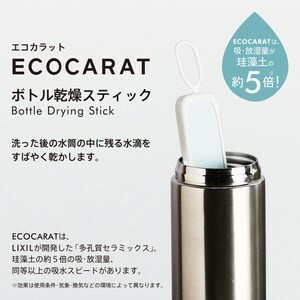 It quickly absorbs water droplets of dishes after washing, so it is comfortable and comfortable. 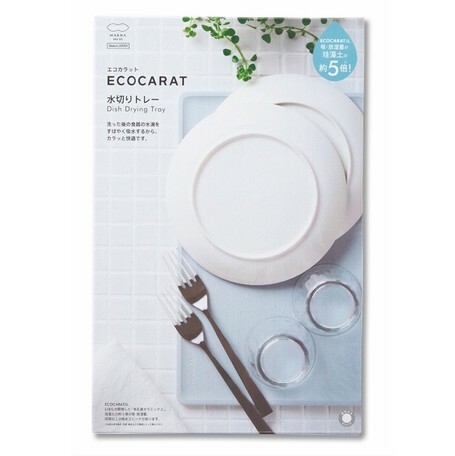 Because it is a thin plate shape, it can be stored upright after use, it will not get in the way. 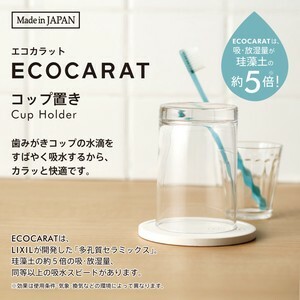 ※ Because it is easy to crack, please be careful when handling to stand upright. 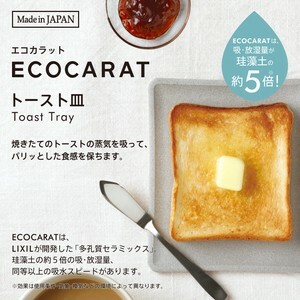 ECOCARAT is "porous ceramics" developed by LIXIL. Approximately five times the absorption and desorption amount of diatomite, and water absorption speed equal to or higher than that. 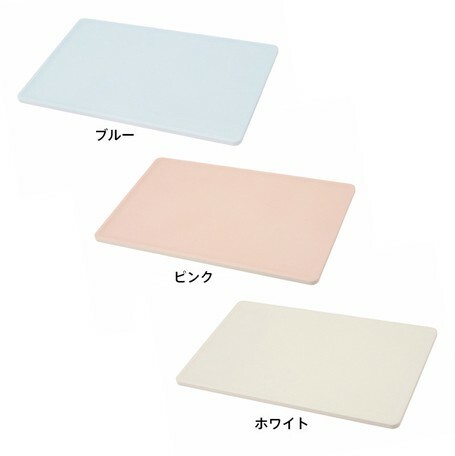 ※ The effect varies depending on the usage conditions ・ weather ・ ventilation and other environments. ● Once a month, please dry thoroughly in a well-ventilated place. ● When a partial spot is attached, wipe with a chlorine bleach on a cotton swab and rinse thoroughly before drying. ● In case of particularly bad dirt, please place it in a diluted neutral detergent overnight, then thoroughly rinse thoroughly before drying. ● Do not wash with wet cloth, sand eraser, hard sponge for kitchen, gold scrubber, polish powder. Dirt and scratches may become serious. ・ April 23, 2018 It was introduced in the web media "Sushi New Product Navi". 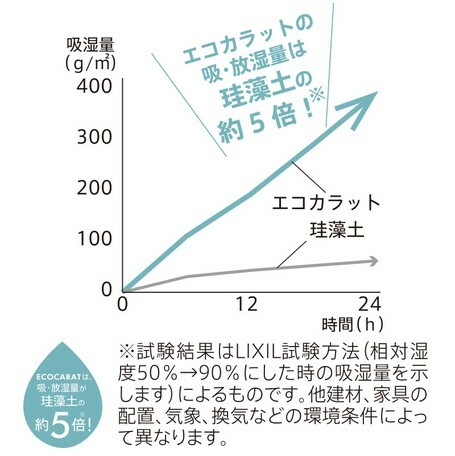 ・ February 26, 2018 Fuji Sankei Business Eye "New product" was introduced in the corner. ※ Please be careful about handling as it is easy to crack. 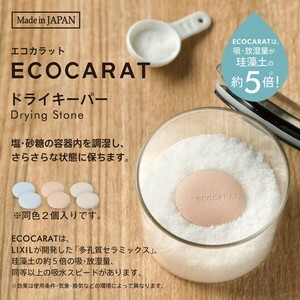 Due to the nature of the material ※, a small amount of powder may come out, the human body has no effect. ※ Please use in a flat place. ※ Because of pottery, there are color irregularities, spots, small chips and scratches and slight warpage. 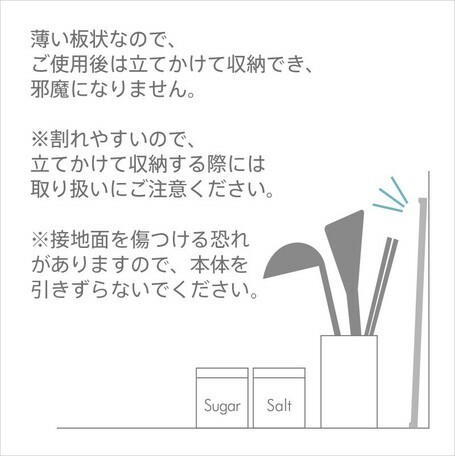 ※ Because oil and dirt may cause spots, please drop the dirt of the dishes sufficiently. 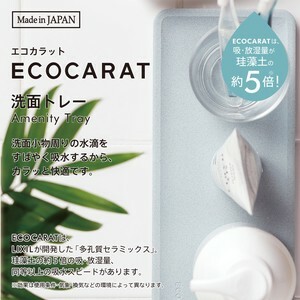 ※ Please do not use in places where water is always applied. Mold may grow depending on the use environment such as extremely high humidity place etc. 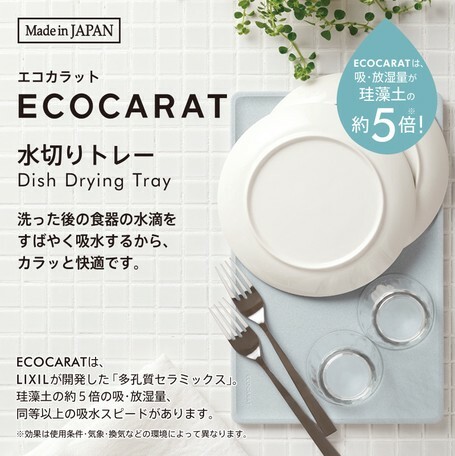 ※ Please leave the dishes etc gently. It may be scratched.